Manufacturer & Exporter of Tubular Heaters. Our product range also comprises of level indicator, Industrial Heaters and Thermo Couples. We are recognized as the prominent organization, affianced in providing a wide range of excellent quality Tubular Heaters. The tubular heaters provided by us are highly applauded by the customers. These tubular heaters are manufactured with the usage of premium quality components and sophisticated technology under the meticulous guidance of dedicated team of professionals. 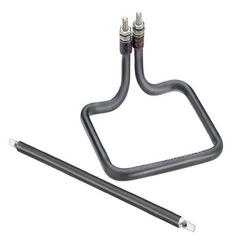 These tubular heaters are offered to our esteemed clients at highly competitive prices.